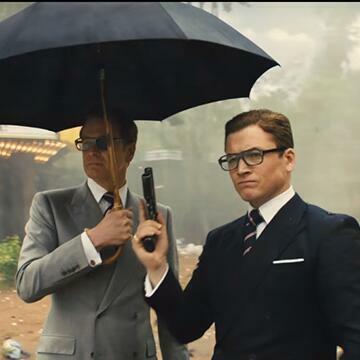 Director Matthew Vaughn assembles his band of merry (Kings)men in this comic book originated super sleuth based sequel that features Taron Egerton, Colin Firth, Mark Strong, Jeff Bridges, Channing Tatum, Halle Berry, Elton John & Julianne Moore! Click the Play button above to get Movie Critic Jon Brown's verdict on whether the boys are back with a bang or a whimper! Reviewed By: Jon Brown, at the Vue Cinema, Gunwharf Quays.